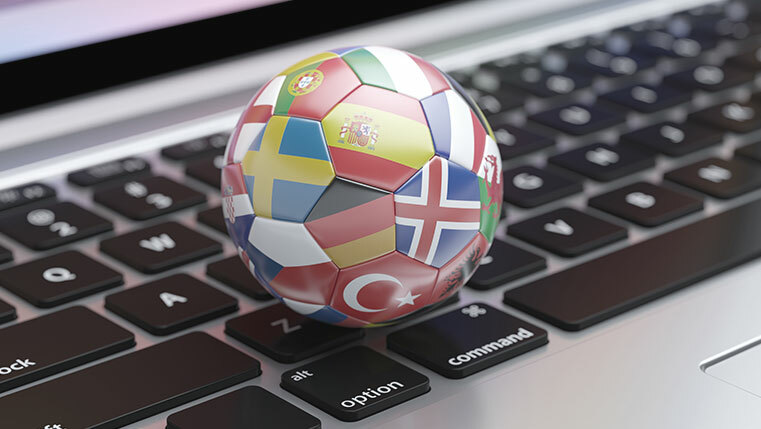 Are you feeling e-learning development is a cumbersome process? Is designing interactivities eating up much of your time? 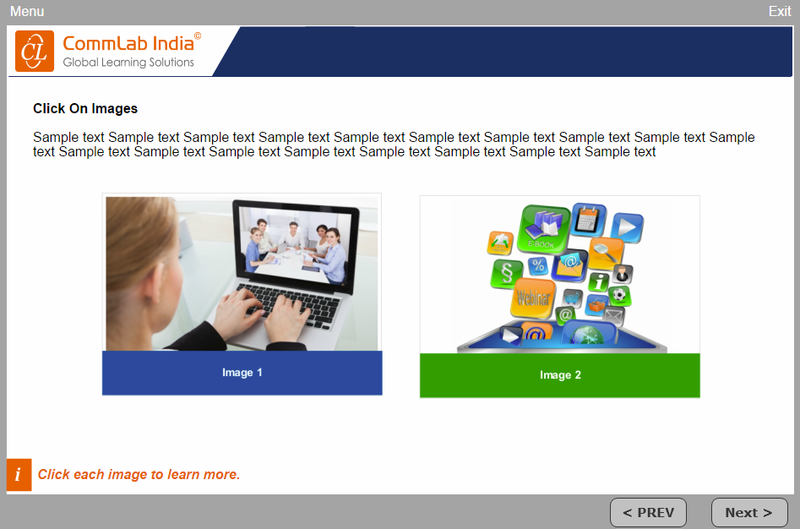 We, at CommLab India customized some templates in Lecotra to make your job easy and speed up the e-learning development process. By using these templates, you won’t miss your e-learning project timelines. These Lectora templates will keep the design elements consistent in your e-learning courses and offer a good look and feel to your images, icons, and diagrams. They can be reused time and again. You need not design from scratch each time. They come along with the source files and allow you to customize by color and design. You just need to download them, and add your text or images. That’s all. And it’s all for free! This blog will introduce the list of customized Lectora Templates and how they can be used in e-learning development. Let’s get started. While developing an e-learning course, engaging learners and prompting them to interact with the learning material are the essential things we need to remember. 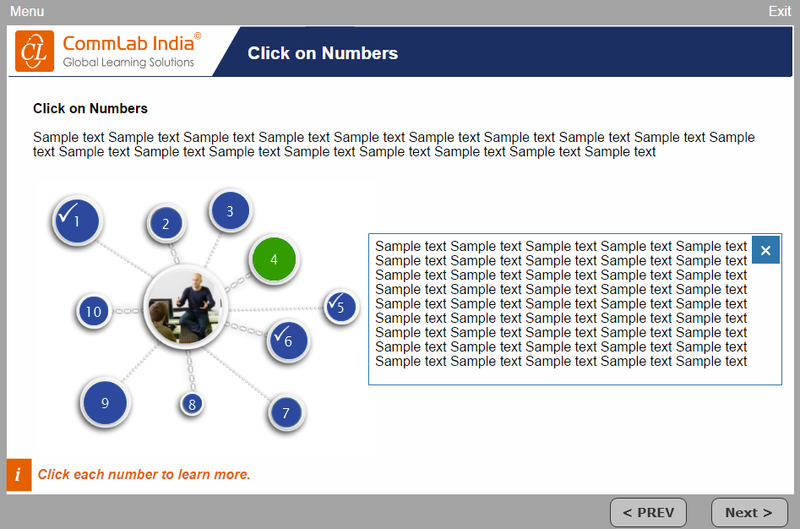 A Click-on-Tab interactivity does this job effectively. 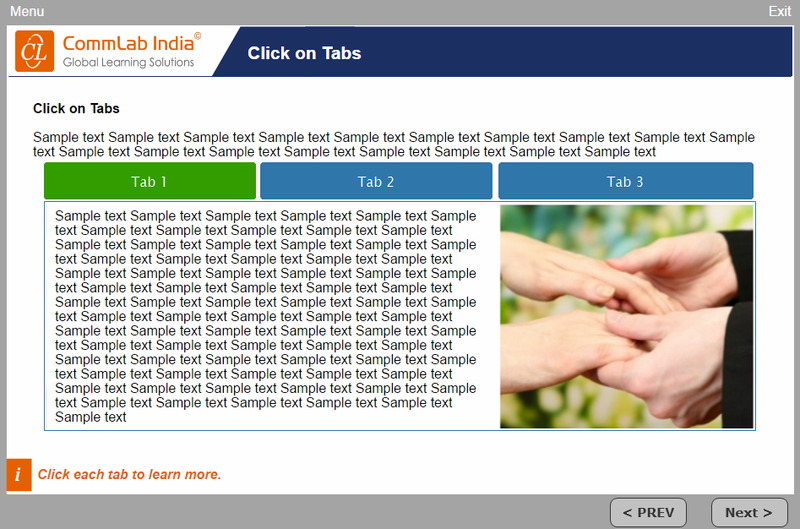 In the ‘Click on Tabs’ template, you can write briefly what are you going to cover in that slide. You can cover each sub heading in one Tab and explanation can be given on click along with relevant picture. This way, you can cover much content in one slide without giving learners the feel of heavy onscreen text. You can represent concepts with easily identifiable icons such as clip art, symbols, logos, and more. When you click each icon, the corresponding explanation appears onscreen. When you want to cover more learning points in one screen, you can choose the Click on Numbers template. Even if you share small learning points up to 10, it won’t appear heavy to learners. 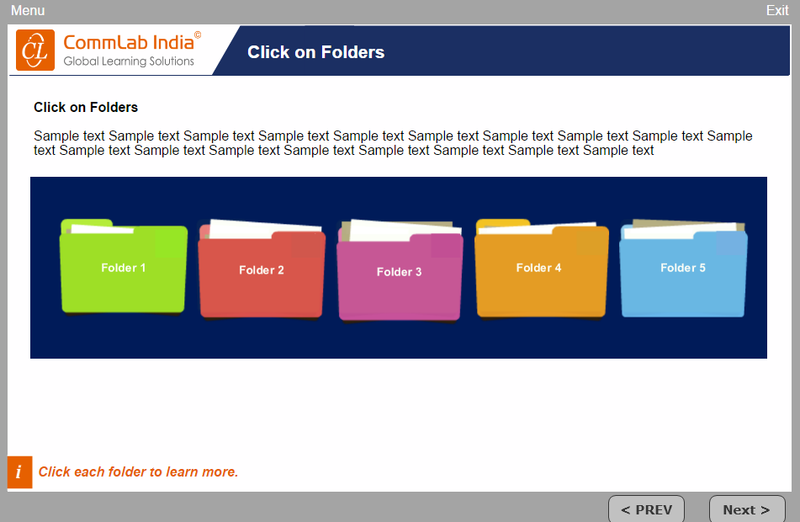 The Click on Folders template enables learners explore the content from a series of folders. You can present related concepts in the form of folders. You can give a caption for each folder and when you click each folder, related content appears onscreen. In general, we use Sticky Notes as reminders. You can use them for the same purpose in e-learning too. 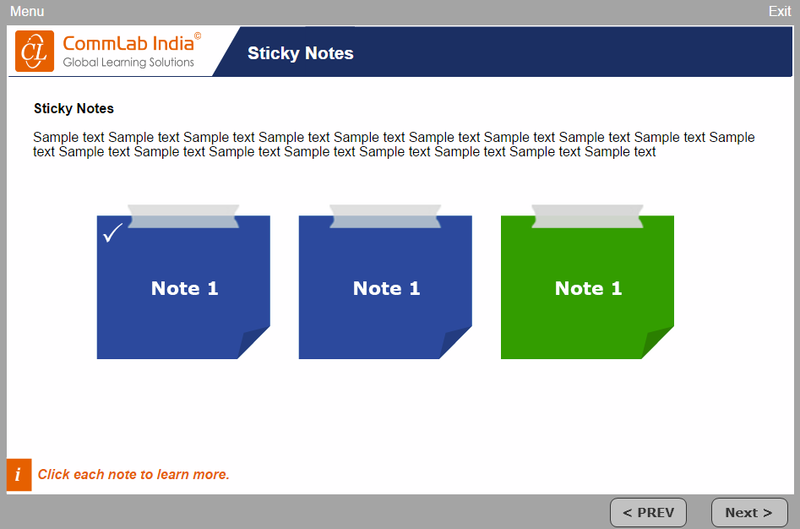 You can use the Sticky Notes template to present facts, principles, key learning points, summary, etc. You can use the flipbook template to present a text heavy concept or theory. 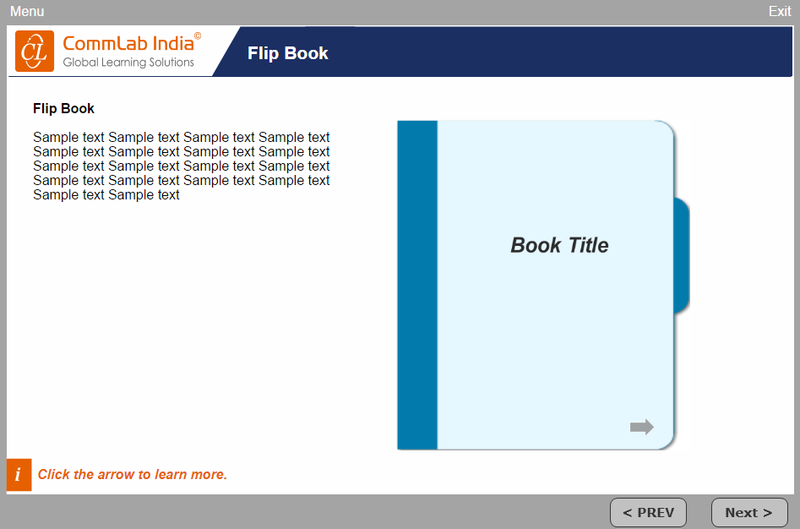 You can also use flipbook template for creating activities, reading a paragraph and answering multiple choice questions. It is also useful to present content along with appropriate images on adjacent pages. Images always get your learners’ attention. You can explain flow diagrams, flow charts, and process using the Click on Image template. Using two to five images in a slide is acceptable as a good practice in e-learning and each image should have an appropriate title. 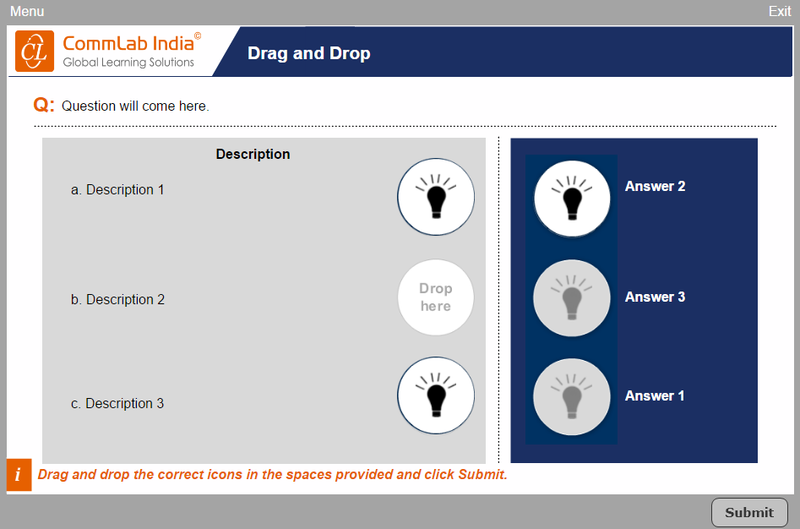 The Drag and Drop template can turn you normal e-learning course into an engaging course and add the fun element. This template can be used in formative assessments but you need not confine to that. You can also use this in summative assessments in the form of ‘matching exercises’. Single select template is mostly used in summative assessments. The Multiple Select template is mostly used in formative assessments. 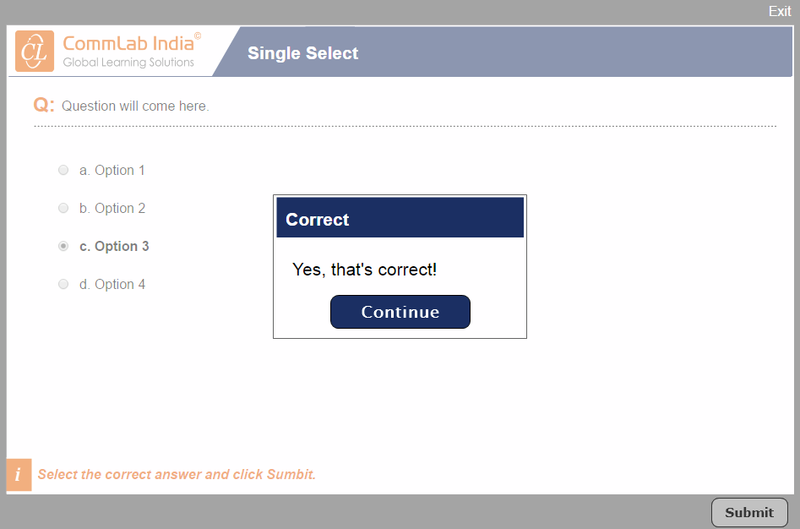 In this question type, there is more than one correct option. 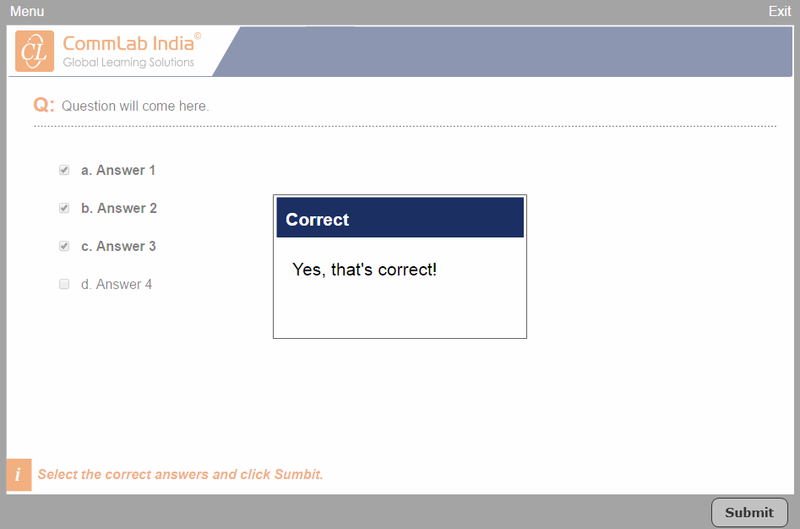 This compels learners to recollect related learning points at once. E-learning developers can use these customized Lectora templates to develop effective online learning courses. They will save your precious time and efforts in e-learning development. What are you thinking of? Start using these free Lectora templates today. Hope you find them useful. Do share your views.